brittany joined Watsi on February 1st, 2017. 19 other people also joined Watsi on that day! 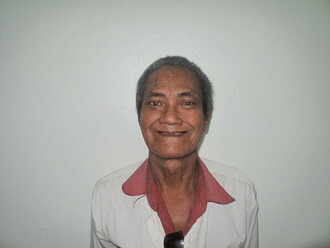 brittany's most recent donation supported Bin, a man from Cambodia, to fund cataract surgery. brittany has funded healthcare for 15 patients in 7 countries. Bin is a grandfather from Cambodia. He is a potato farmer. He has two daughters, two sons, and thirteen grandchildren. He enjoys spending time with his family and listening to monks pray on the radio. Four years ago, Bin developed a cataract in each eye, causing him blurred vision, tearing, and irritation. He has difficulty seeing things clearly, recognizing faces, and going anywhere outside. When Bin learned about our medical partner, Children's Surgical Centre, he traveled for four hours seeking treatment. On March 12, doctors will perform a phacoemulsification surgery and an intraocular lens implant in each eye. After recovery, he will be able to see clearly. Now, he needs help to fund this $398 procedure. He says, "I hope I can see everything clearly so I can to continue my work as a farmer again and I can go outside on my own." Talaa is a farmer from Kenya. She is a mother of 11. She lost her husband in 2005 due to hypertension. Talaa lives with her grandchildren. She is a happy grandmother and spends her time in the evenings educating her grandchildren. She takes care of her goats and cultivates a small piece of millet farm to keep herself busy. Talaa fell last week while she was taking care of her goats. She landed on a stone and fractured her hip. Talaa is in a lot of pain, and she cannot stand or walk. Fortunately, surgeons at our medical partner can help. On January 16, Talaa will undergo a fracture repair procedure, called an open reduction and internal fixation. The procedure will help her live without pain, walk, and stand. Now, our medical partner, African Mission Healthcare Foundation, is requesting $968 to fund this procedure. “My mum has a lot of pain, she cannot stand nor even sit comfortably. You can see that she is stressed," says her son. Sok Heang is a rice farmer from Cambodia. She likes cooking and spending time with her friends. 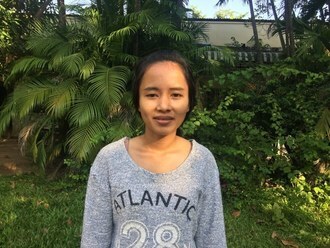 When she was a baby, Sok Heang had an ear infection. This infection caused a cholesteatoma, or an abnormal skin growth, to develop in the middle ear behind the ear drum. For this reason, Sok Heang experiences hearing loss, tinnitus, and ear discharge. She just keeps treating her ear through the pharmacy and local healer, but it's not getting better. She has hearing loss and is afraid it will worsen. Sok Heang traveled to our medical partner's care center to receive treatment. On December 11, she will undergo a mastoidectomy procedure in her right ear. During this procedure, ENT surgeons will remove the cholesteatoma. 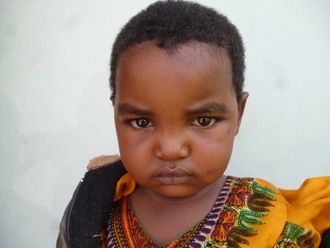 Our medical partner, Children's Surgical Centre, is requesting $842 to fund this procedure. This covers medications, supplies, and inpatient care. She says, "I want to get healthy and find a job." Lovensky is a student from Haiti. He lives with his parents, brothers, and sisters in a vilage in central Haiti. He is in high school, and would like to go on to university and become an engineer. Lovensky has a cardiac condition called rheumatic mitral regurgitation. One of the four valves in his heart has become severely damaged from a rheumatic fever, and can no longer adequately pump blood through his body. Lovensky will fly to the United States to receive treatment. On December 8, he will undergo cardiac surgery, during which surgeons will replace his damaged valve with an implanted mechanical valve. Another organization, The Heart Hospital Baylor Plano, is contributing $65,000 to pay for surgery. Lovensky's family also needs help to fund the costs of surgery prep. The $1,500 bill covers labs, medicines, and checkup and followup appointments. It also supports passport obtainment and the social workers from our medical partner, Haiti Cardiac Alliance, who will accompany Lovensky's family overseas. He says, "I am very excited to have my surgery and gain more energy and strength!" Michenaida is a student from Haiti. She lives with her parents, two brothers, and two sisters. 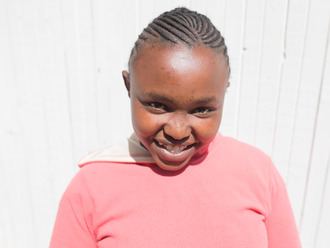 She enjoys attending school, as well as going to church and singing hymns. Michenaida has a cardiac condition called pulmonary valve atresia. Among other defects, including at least two holes in the heart, Michenaida was born without one of her four heart valves. Her multiple conditions leave her weak and short of breath. If not treated, they would lead to heart failure. 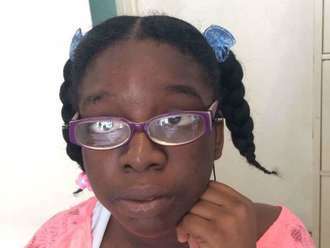 Michenaida will fly to Cayman Islands to receive treatment. On November 6, she will undergo cardiac surgery, during which she will first be assessed with a catheter to determine the plan for treatment, and then if found to be operable will be taken to the operating room for closure of the defects. Another organization, Have a Heart Cayman, is contributing $22,000 to pay for surgery. Michenaida's family also needs help to fund the costs of surgery prep. The $1,500 bill covers labs, medicines, and checkup and followup appointments. It also supports passport obtainment and the social workers from our medical partner, Haiti Cardiac Alliance, who will accompany Michenaida's family overseas. Michenaida's mother said, "Our family is all praying that our daughter's heart can be made normal so she can be healthy and active." Marie-Ange is a 30-year-old mother of three living in Port-au-Prince, Haiti. To support her family, Marie-Ange worked as a street merchant selling cosmetic products. About two years ago, Marie-Ange felt a small mass in her left breast. She saw a doctor, who told her that the mass was not dangerous and prescribed her some medication. Noticing that the mass did not go away, Marie-Ange sought a second opinion from a doctor at our medical partner's care center, St. Luc Family Hospital. Doctors at St. Luc did a biopsy of the mass and diagnosed Marie-Ange with breast cancer. However, before she could begin chemotherapy Marie-Ange found out that she was pregnant. Doctors therefore decided to forego chemotherapy and conduct a mastectomy. After giving birth, Marie-Ange was still feeling discomfort at the site of the mass. She returned to the hospital to have the mass re-examined and doctors suggested she undergo a second mastectomy and then chemotherapy. Our medical partner, Innovating Health International, is requesting $1,085 to fund the surgery. 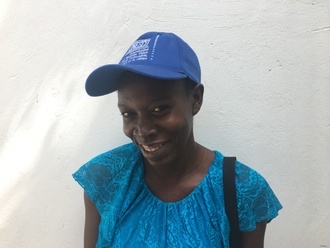 Marie-Ange is hopeful that after treatment she will be able to return to her job and continue to care for her young family. Her surgery is scheduled for August 26. Victor is a 36-year-old man from Kenya who used to work as a fruit trader. Victor lives with his wife in a settlement in Nairobi, and together they have four children who, with the help of their grandparents, are all enrolled in school. Several years ago, Victor suffered a severe road accident. He was admitted to the hospital for three months and underwent two surgeries. Victor was left in crutches, unable to work. Last year, Victor underwent a first stage bone transport, a technique that allows for the regeneration of bony tissue. Surgeons have now recommended that Victor undergo a second stage bone transport in order to enhance his future mobility and prevent further infection. Our medical partner, African Mission Healthcare Foundation, is requesting $1,500 to cover the cost of Victor's operation. The procedure is scheduled to take place on June 29 and, once completed, should allow Victor to walk with ease and live comfortably with his family again. “I would like to get well to continue providing for my family and educate my children," says Victor. “Life continues, so you should too.” This idea has been a source of much-needed strength for Midlyne, a 35-year-old woman from Haiti who has been living with breast cancer for several years. Midlyne earns money to support herself and her two teenaged daughters by selling used clothes (pèpè) as a street merchant. She enjoys the process of selling clothes, and she also loves watching TV dramas in her spare time. In December of 2015, Midlyne felt a small lump in her right breast. Over time, the lump began to swell and to cause her great discomfort. After a biopsy in January of 2016, Midlyne was diagnosed with breast cancer. Simple actions are now very painful, making it impossible for Midlyne to perform many of her domestic chores, from washing clothes to grinding spices. She has also lost her appetite. In December, Midlyne began chemotherapy, which decreased the number of cancerous cells in her body. However, her doctors have told her that in order to completely beat the cancer, she will also need to undergo a mastectomy, scheduled for March 18. Midlyne cannot afford to pay for this operation on her own. For $1,085, we can sponsor this life-saving procedure, as well as her lab tests, two-day hospital stay, and roundtrip travel to the medical facility. Once her health is restored, Midlyne looks forward to returning to commerce, and to one day expanding her business. Let’s give her the chance she deserves to pursue those dreams. Heng is a 65-year-old farmer from Cambodia. She is married and has four daughters and three sons. 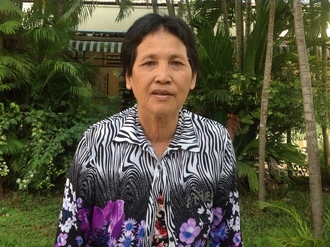 In her free time, Heng enjoys cooking and looking after her granddaughter. In April 2014, Heng fell, causing pain in her left hip. Over time, her symptoms left her unable to walk and consequently unable to work. After hearing about our medical partner, Children's Surgical Centre (CSC), Heng decided to seek treatment. On March 21, surgeons will perform a hemiarthroplasty procedure on Heng, replacing one half of her hip joint with a prosthetic, while leaving the other half intact. CSC is asking for $450 to cover the cost of Hong's treatment. After surgery, Heng will be able to walk easily again! Daniela is a four-year-old girl from Guatemala. She lives with her mother and four siblings. Born with cerebral palsy, Daniela has a close bond with her sister, who has looked after her since she was born. Daniela loves to curl up and nap next to her. Daniela was recently diagnosed with malnutrition, a condition in which she does not receive sufficient nutrients to grow healthily. Beginning on March 6, Daniela will receive treatment at our medical partner's care center, Clinic Miller. Our medical partner, Wuqu’ Kawoq, is asking for $492 to fund Daniela's nutritional supplements and physician's fees. Additionally, funds will go towards an educational program that will teach Daniela's mother about creating a nutrient-rich diet for her with limited resources. 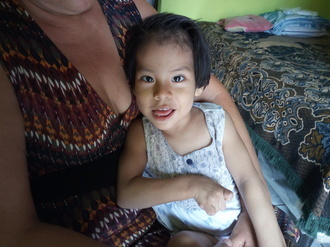 After treatment, Daniela will be able to grow up healthily! Josephine and her twin brother are the third and fourth children to their parents. Josephine's mother says she is a happy child who enjoys playing with her siblings. Josephine's feet are turned inward. Because she can walk, her mother never sought treatment for the condition. Recently, our medical partner's community outreach officer traveled to Josephine's village, where he diagnosed her with clubfeet and spoke to her parents about treatment options. Now, she is scheduled to undergo repair surgery on January 24. Josephine's parents are small scale farmers who herd goats and cows. However, their income is limited, and they need help to provide treatment for their daughter. Our medical partner, African Mission Healthcare Foundation, is requesting $1,160. Josephine's mother says, "I hope that my daughter will be able to walk straight and attend school."